Awkwardly grasping a tablet and pecking out an important missive with one’s thumbs has become so… déclassé. Old-school enthusiasts with a hankering for the finest mid-century technology will thrill to the sight, and the tactility, of the Qwerkywriter ($329). 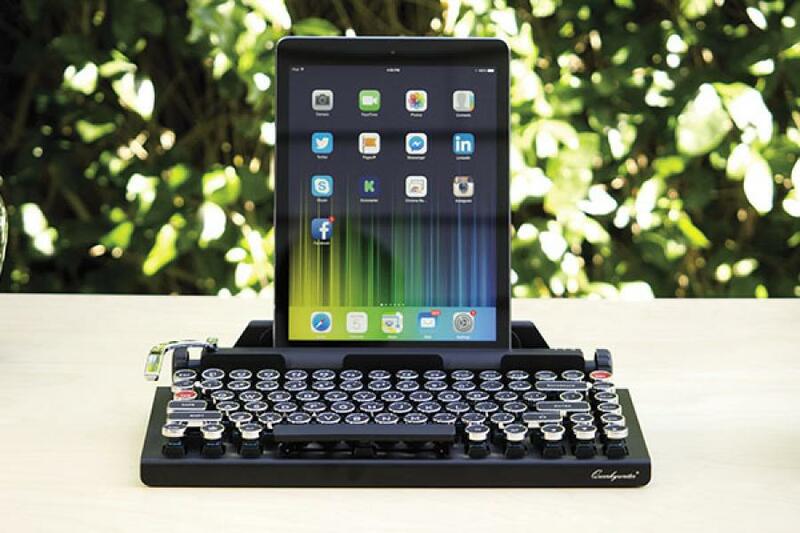 A brushed-aluminium typewriter keyboard with a tablet docking port and Bluetooth connectivity, Qwerky offers glorious Clark Kent-style keyboard hammering—satisfying clackety-clack of course included. It even has a carriage-return lever that functions as both an enter key and a five-character memory macro. 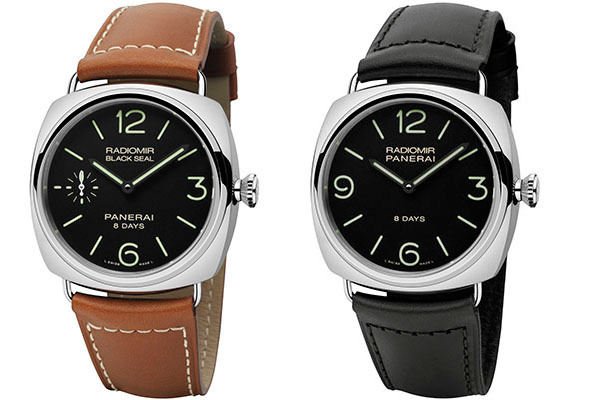 The two new Radiomir 8 Days Acciaio watches—the Black Seal 8 Days and the standard 8 Days—bring Panerai’s P5000 calibre to the Radiomir family for the first time. The P5000, introduced in 2013, is a hand-wound movement that provides a full eight days (192 hours) of power reserve and Panerai’s trademark no-frills design and decoration visible through the back. Both watches are offered in 45 mm steel cases and feature a lumed sandwich dial and trademark large Arabic numerals at their corners. The Reves Chair has been designed by Spanish design studio Muka Design Lab, founded by product designers Laxmi Nazabal and Lucas Abajo. 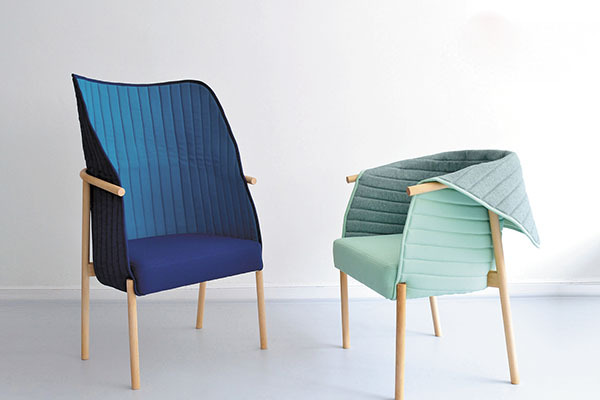 In keeping with their philosophy of Slow Design—collaborating with small artisans and workshops, using local sustainable materials—the chair is made from oil-treated, locally-sourced beech and is upholstered in a two-tone quilted, eco-friendly textile that is stiff enough to stay vertical without support. It can also be folded down over the wooden frame, opening the sitter up to their environment. The chair recently won the Red Dot Award: Design Concept 2015. 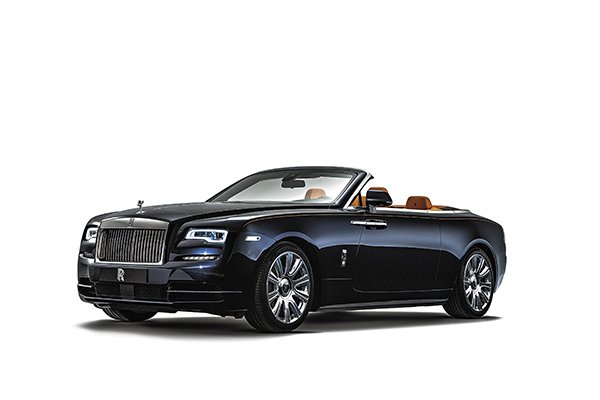 The Rolls-Royce Dawn looks like a Rolls-Royce should, but 80 percent of its panels are new. The four seats are Mandarin leather and there’s an open pore wood deck wrapping around the rear seats. The run-flats will take you 160 km. A new suspension configuration handles rolls and mass distribution while safety systems, like automatic cruise control, watch over you.